Produces masses of gorgeous deep violet (or yellow) flowers in late spring. Habitat: Grows mainly on a flat, dry, stony area along the banks of the Rio Lopez, just before the moister zone of the tiraquensis populations. 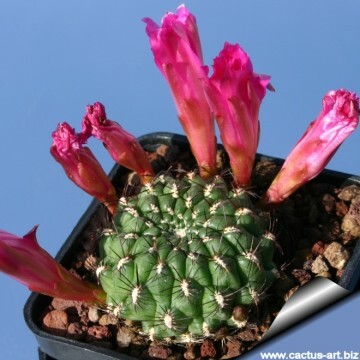 Altitude 2950 – 3700 m.
Description: This Sulcorebutia has been named polymorpha (which means "many forms") for the variability of the plant in habitat. 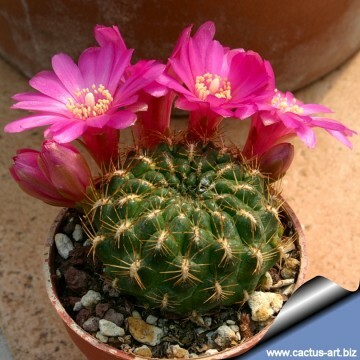 It is a clumping plant (rarely solitary) , readily forms clumps of many heads and are typical for Rebutia steinbachii. Stem: 24-40 mm tall, up to 50 mm wide, flattened globose, dark green sometime tinged red. Ribs: 12-26 poorly distinguished, forming oblong rhomboidal grooved tubercles. Areoles: Long narrow with short grey felt (almost naked) 3 – 6 long, 1,5-2 mm large. 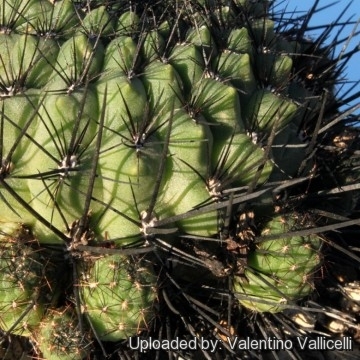 Radial spines: 9-14, about 10 mm long, addpressed against the body, white, yellow, brown with darker tips or almost black, ±curved slow to develops, frequently absent on new areoles at plant apex. 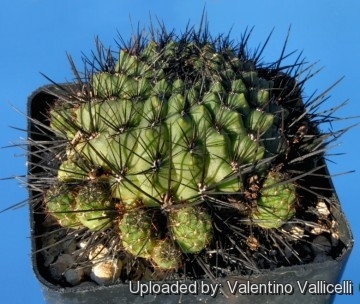 Central spines: None or 1 to 3 stouter 20-30 mm long. Flowers: Up to 3,5 cm long and 4,5 in diameter, yellow or (usually) magenta , both colours occurring at random in habitat. 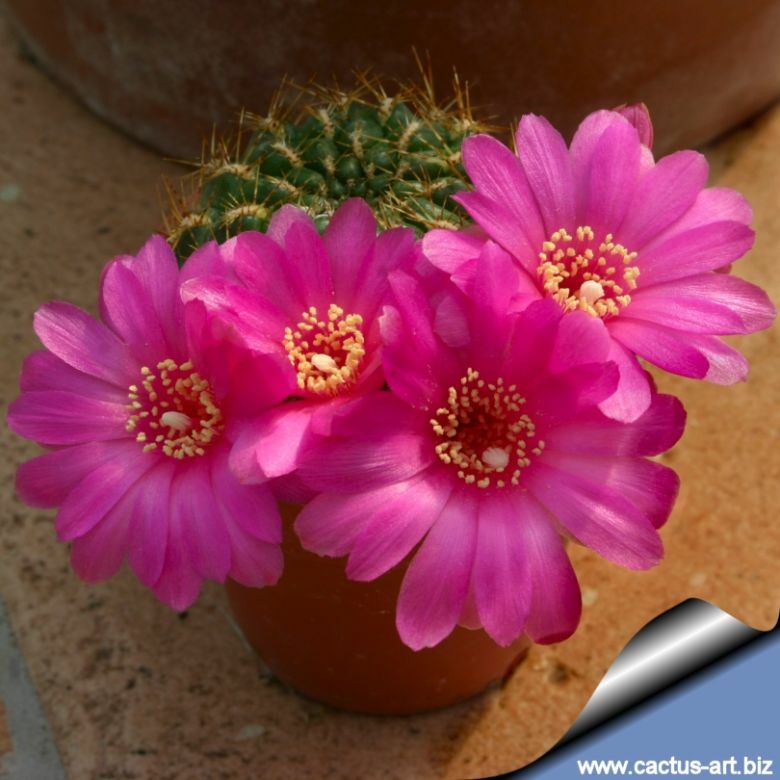 Magenta flowers with yellow or white inner petals are also available. Floral tube funnel-shaped. Fruits: Olive green to reddish brown at maturity.